Pyrgita motitensis A. Smith, 1836, northern Cape Province, South Africa. 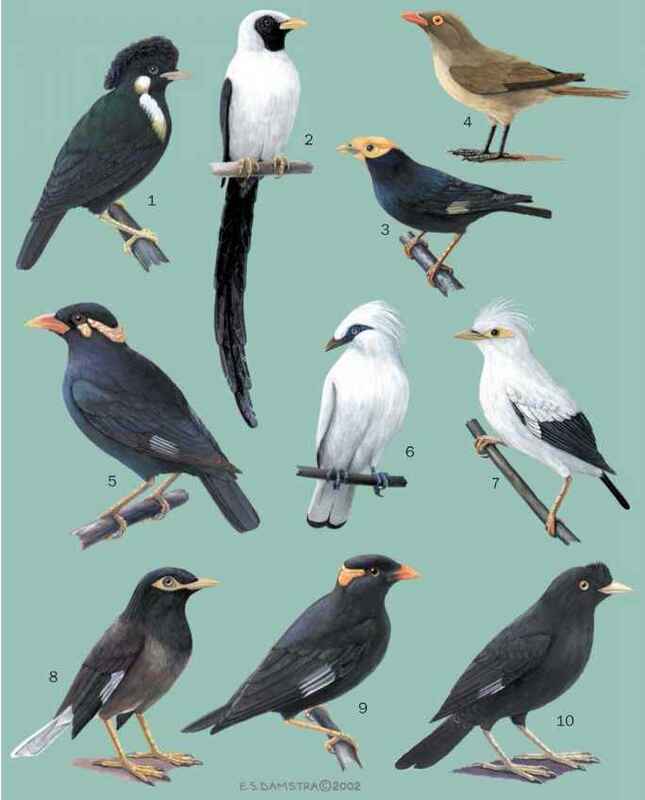 English: Great sparrow; French: Grand moineau; German: Rostsperling; Spanish: Gorrión Grande. 5.9-6.3 in (15-16 cm); 1.0-1.3 oz (28-37 g). Large, robust sparrow. Male has blue-gray crown and a chestnut band circling the rear of the pale cheek. Female is similar, but less well marked. Juvenile paler. Widely, but sparsely, distributed in southern Africa. Mainly grass seeds. Nestlings are reared on insects. Builds domed nest in thorny tree. Two clutches of three to six eggs. Both sexes take part in breeding activities.